You can also come by during business hours between Tuesday and Thursday from 10 am to 9 pm, on Friday from 10 am to 6 pm, and on Saturday from 10 am to 5 pm. Studios vary in availability, thus a call in advance is always appreciated. 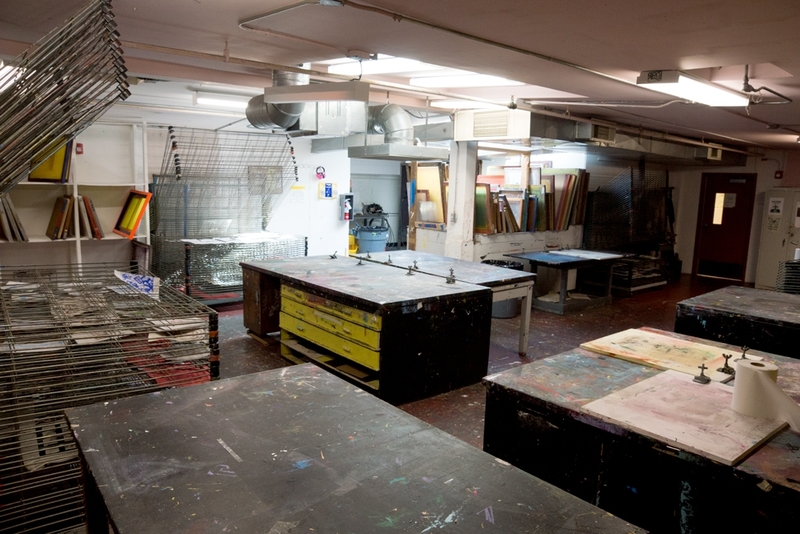 Please note Mission Gráfica only provides the space and equipment for printing. 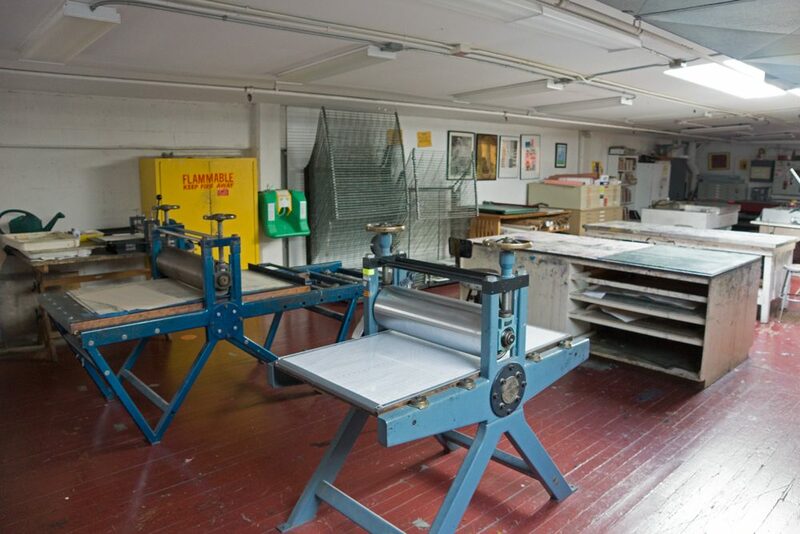 We do not provide materials (inks, paper, screens, and emulsion). 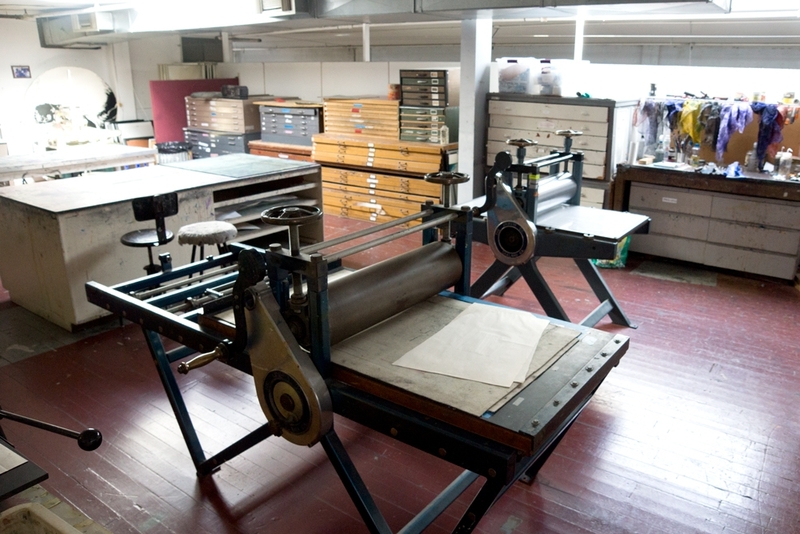 Studio rentals include space and equipment for printing, exposure unit, and wash out sink. 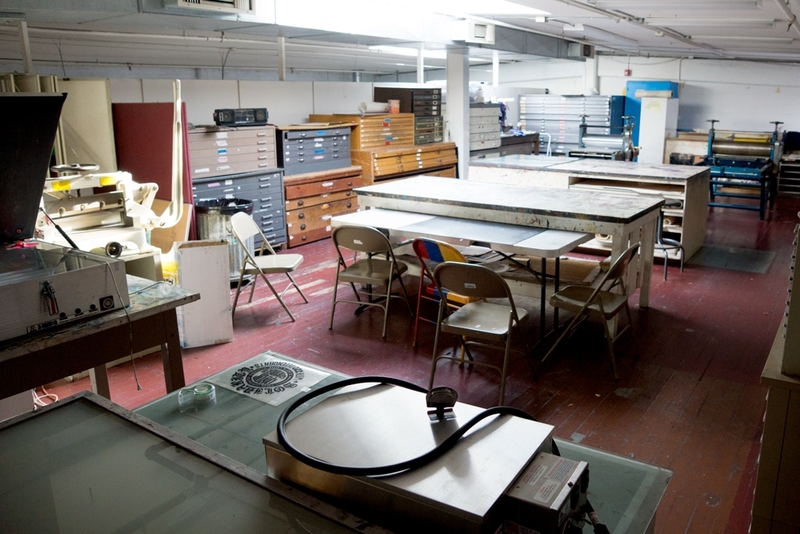 Monthly rentals also include flat file and storage area.